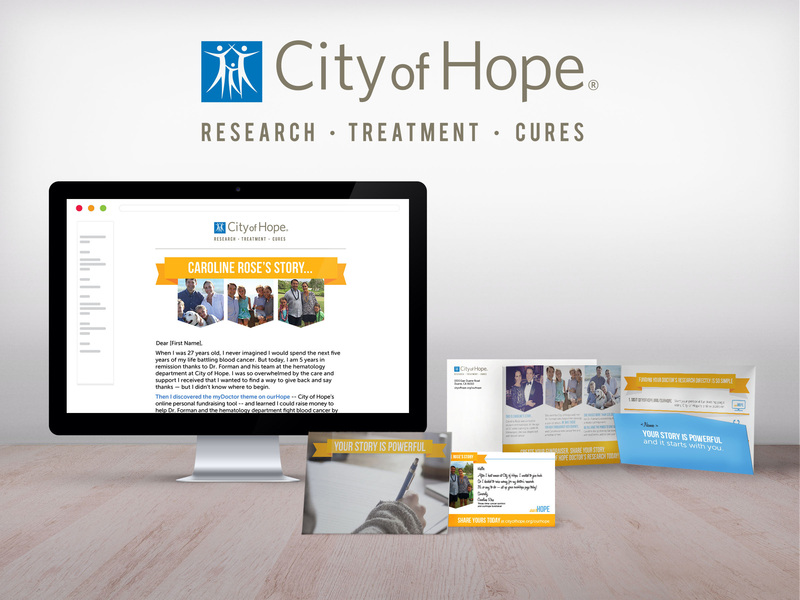 City of Hope is a world leader in the research and treatment of cancer, diabetes, and other serious diseases. 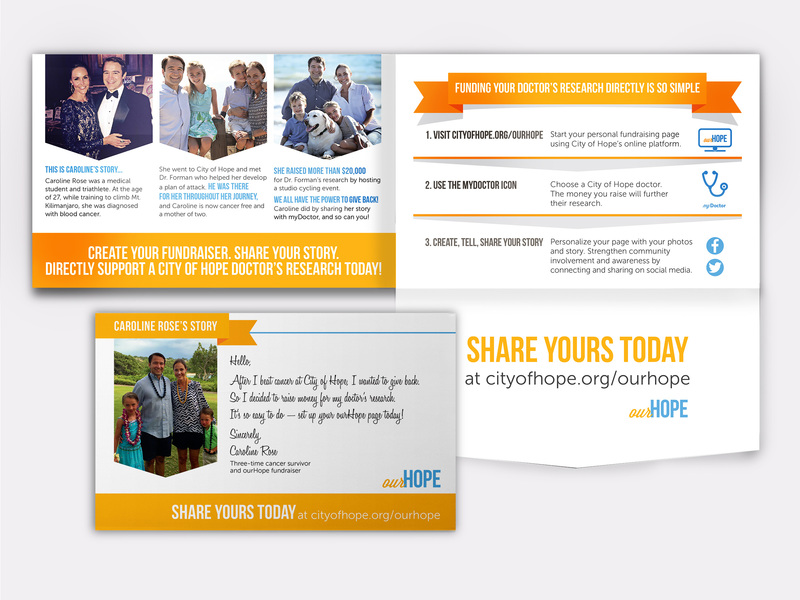 Promote City of Hope’s online fundraising tool, ourHope, and the myDoctor fundraising theme. Our client’s mission is to create a community for patients and the friends and family of patients who have been affected by a serious illness. They have created a community open to sharing personal stories of trial, success, and encouragement. 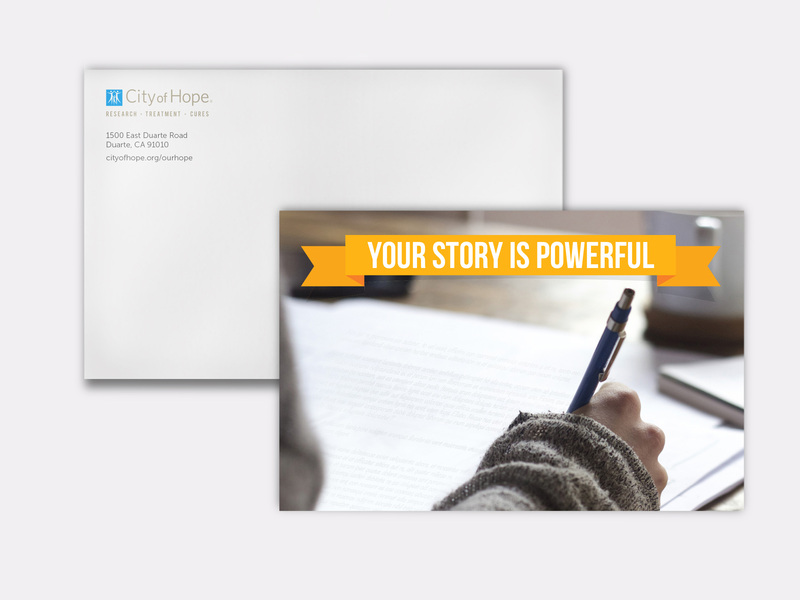 This integrated direct mail and email campaign took that to heart and was concepted to be told from the first-person perspective of a former patient. Through the telling of their personal experience with specific COH doctors, the campaign encourages recipients to start their own fundraising campaign and to share their own story or the story of loved ones.